Have you heard about the new Fish McBites from McDonald's? 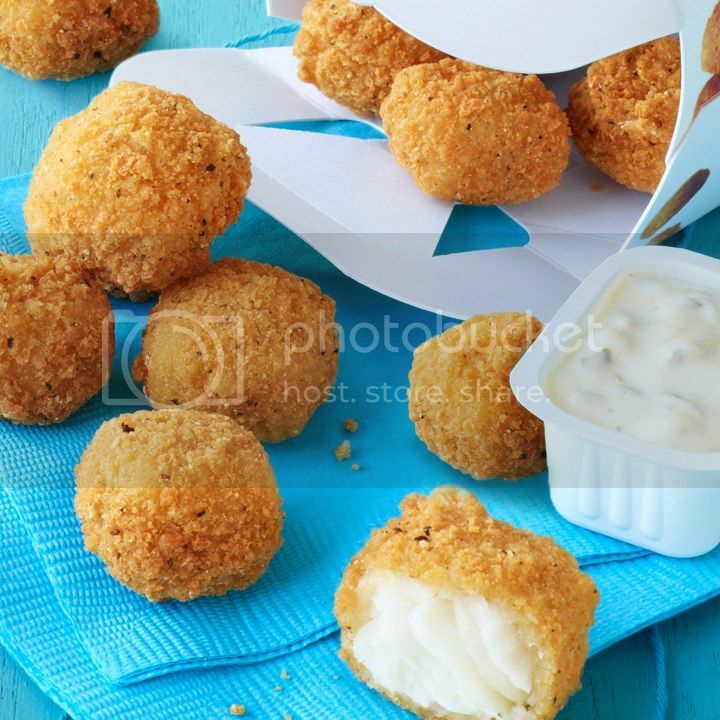 Fish McBites are crispy, tender pieces of flaky wild-caught Alaska Pollock. These tasty bites are only available for a limited time. I tried some the other day and I really liked them! I love the fish sandwiches so I had a feeling I would like these too. They taste very light and tender. The breading is not too heavy either. 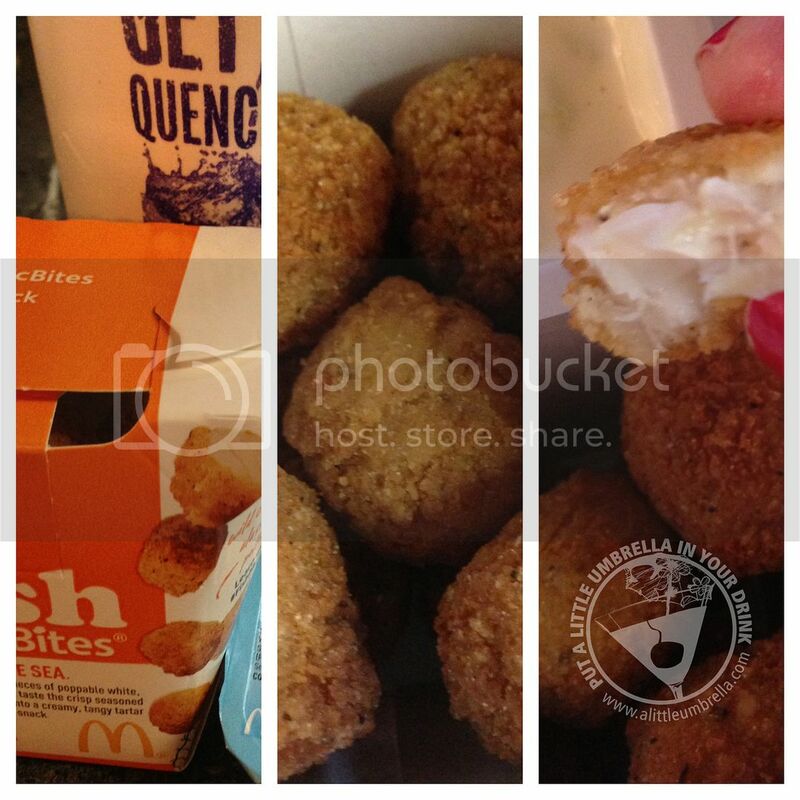 To make things even better, Fish McBites are responsibly sourced from a certified sustainable fishery. Get the kids in on the action too because Fish McBites will be also included in Happy Meals as a great non-meat option for a limited time only. Want to try some? McDonald's is letting me give away a few coupons good for a FREE Snack Size Fish McBites! There will be FIVE winners who will win one coupon each. How To Enter :: Just use the simple form below to enter. Open to US only. Must be 18+ to enter. Giveaway closes on March 15, 2013 at 11:59 pm EST. Only one person per household/IP address may enter. The coupons expire on March 31, 2013. Good luck! Disclosure: Put A Little Umbrella In Your Drink received one or more of the products mentioned above for free for evaluation purposes. No financial compensation was received. Regardless, all opinions expressed are still 100% my own. I am disclosing this in accordance with the Federal Trade Commissions 16 CFR, Part 255 Guides Concerning the Use of Endorsements and Testimonials In Advertising. This giveaway is in no way associated with Facebook or Twitter. Put A Little Umbrella In Your Drink is not responsible for prize shipment. See my full disclosure.